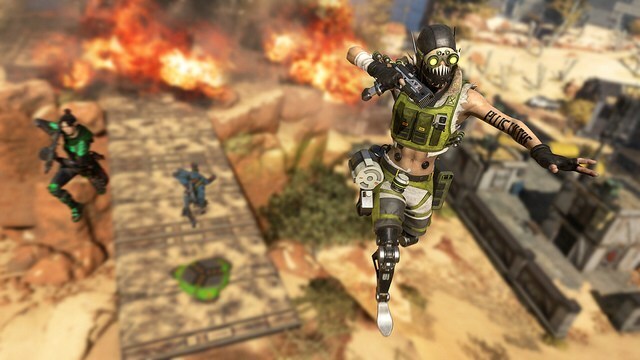 Fast paced and eye catching is an apt way to describe Apex Legends newest Legend Octane. Robotic legs, adrenaline rushes and bounce pads are what this new thrill-seeker brings to the table, but using all of this effectively can be a bit of a challenge. 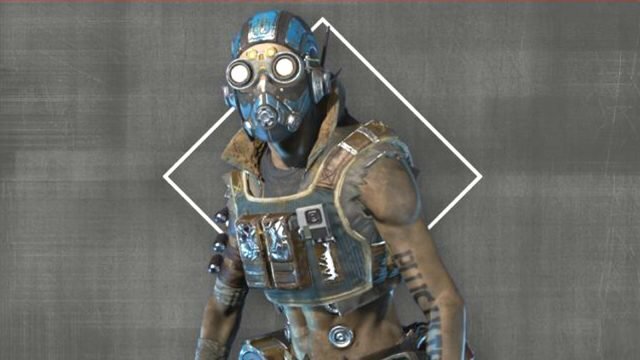 This guide will hopefully get you laughing in the face of death while playing as Apex Legends newest character in no time. One of the benefits of playing as Octane is his nearly endless supply of adrenaline boosts. When activated Octane stabs a vile full of the booster into his chest and sprints above normal character limits, giving him unprecedented movement for distracting and engaging with enemies. He can get into the cluster of enemies pulling a ton of attention to himself as his team moves in to take out the distracted foes. He can also clean up knocked enemies in a fight to prevent revives at an amazing pace. Players with a little more vim and vigor can even challenge Lifeline revives by straight up bouncing over her walls to clean her and her would be saved teammate up. While the adrenaline does refill insanely fast, literally a second after the boost ends, it comes at the cost of some of Octane’s health. Fear not though Octane’s passive is to regain that health slowly over time. So don’t get too addicted to the adrenaline rush, it could cost you dearly. As soon as you end one fight after slamming down six adrenaline boosts and rocking about half health another team can easily come up behind you and rip the rest of it away. Please use responsibly. Octane’s ultimate ability is a nice jump pad the team can use in various ways. 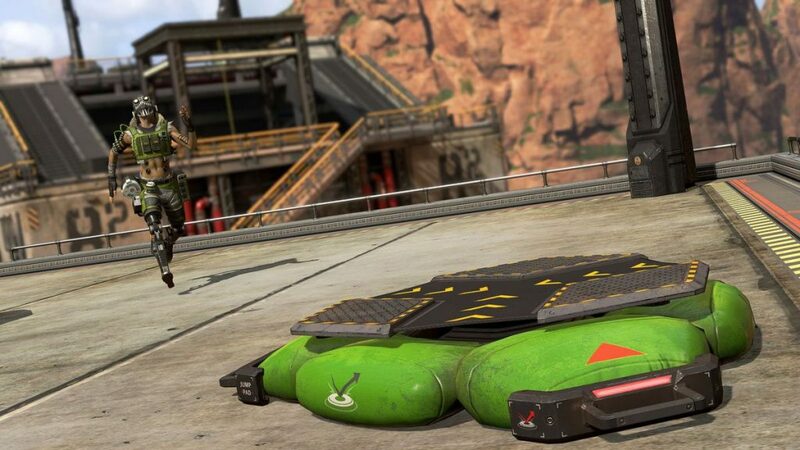 The pad can fling the team to the top of buildings, or just into the air to get the height advantage on a team or to just scout into the distance. Seriously, it offers a ton of new tactics on the field. Octane can adrenaline boost and then slide jump on to the platform to pull the attention away from his team. As much offense as it offers to players it’s a pretty solid defensive unit as well. I have used it to fling people away from me as they climb on rooftops, making them easy prey for my sniper rifle. Be wary though players can fling the little bounce pad pretty far so make sure your aim is true before throwing. His ult also spawns at a pretty decent rate, several pads can be thrown in a match, so get creative. Octane is a fast character, arguably the fastest character in the game. So sticking to light weaponry makes sense. A fully kitted 99 can be deadly in his hands as he runs around teams. Same thing goes with the R-301 which is a good all around gun to keep in general. Be wary though the 99 spits out ammo at a very fast and often inaccurate manner. The best way to account for that is to grab blue or better attachments for it. I know that seems obvious but as someone who tends to struggle a bit with the 99 I feel that is worth noting. Mix it up with Octane. 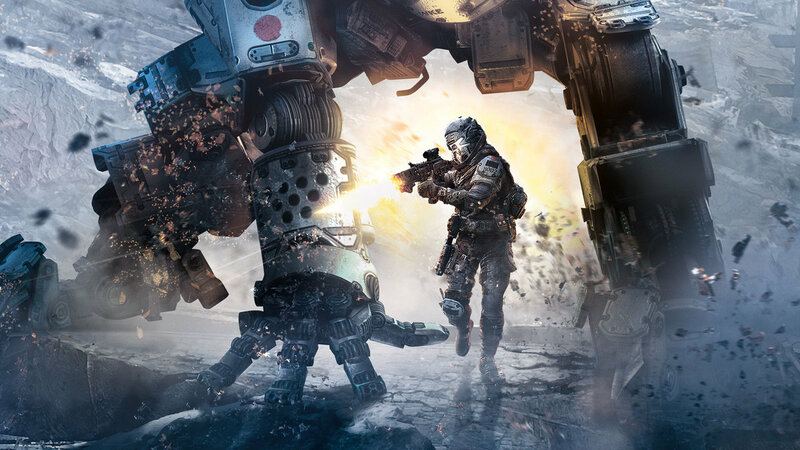 He can also use heavy weapons and snipers effectively, depending on player skill level. Octane can floor whole units with a fully kitted Wingman, especially if he has uninterrupted movement. Throw a pad down, boost jump into an unsuspecting squad and fire a few shots before they have time to react or flank and Octane can easily knock one or more members down before his squad even shows up. The same could be said for my favorite weapon the Triple Take. If he uses it as more of a shotgun as oppose to it’s intended sniper rifle roots he can floor unsuspecting enemies, so again feel free to get creative. 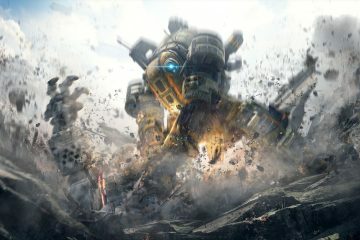 Respawn Entertainment gave us a taste of the road ahead for Apex Legends with the battle pass and Octane releases, and it is pretty damned satisfying. Octane is playable now even if you don’t want to buy the battle pass. 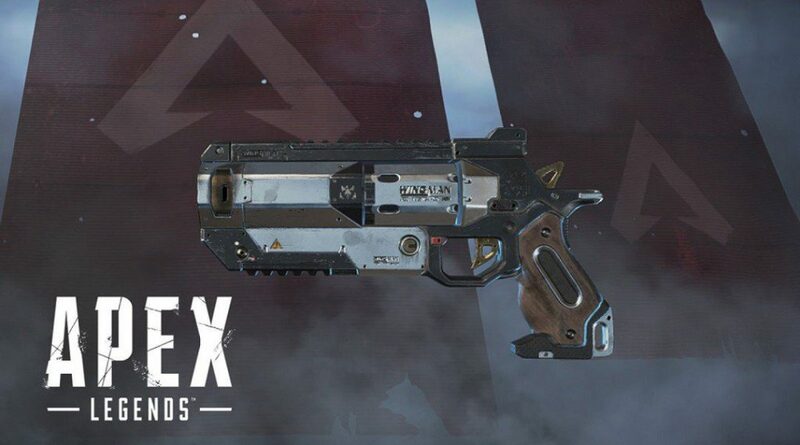 As someone who has put over two hundred hours into Apex Legends since its release in February I feel like it has more than earned the ten dollars from me and I look forward to grinding out the rest of the season. 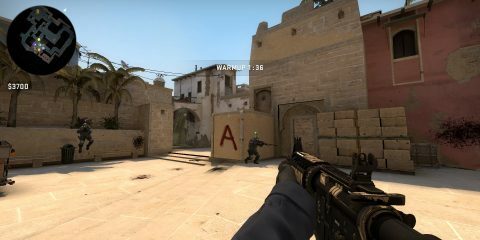 If you have any tips, tricks or just insane plays you want to talk about feel free to drop them below.